Canon Europe recently announced the launch of the EOS C200, the latest addition to the Cinema EOS range. Offering exceptional creativity and flexibility, the new 4K compact digital cinema camera is perfect for a broad range of imaging professionals. As the first Cinema EOS camera to support the new RAW recording format – Cinema RAW Light – the EOS C200 provides the same flexibility in colour grading as Cinema RAW in a smaller file size, enabling filmmakers to record internally to a CFast 2.0 card. 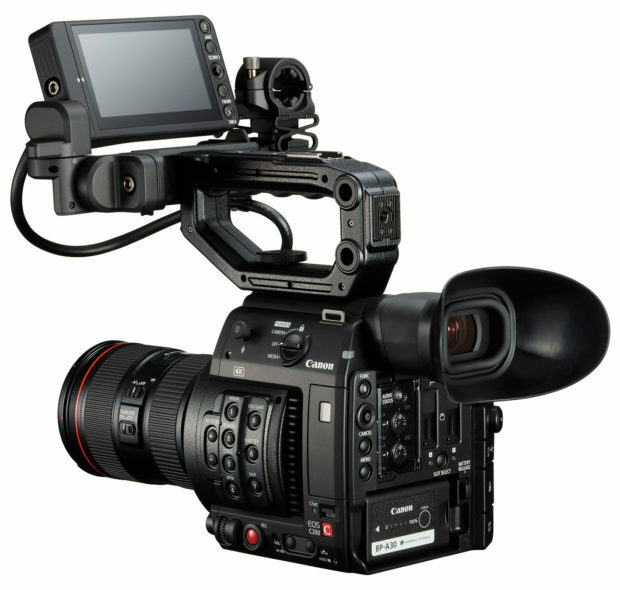 Built for professionals and ideal for single shooters, the EOS C200 features an advanced AF system that provides reliability and accuracy when shooting 4K, as well as a touch screen LCD panel for filmmakers to easily select their subject. For those who need to switch effortlessly between several subjects in a single shot, the Dual Pixel CMOS AF enables smooth AF operation whilst the manual focus assist function, Face Detection with Face Priority and Face-Only options provide greater creative focus control.